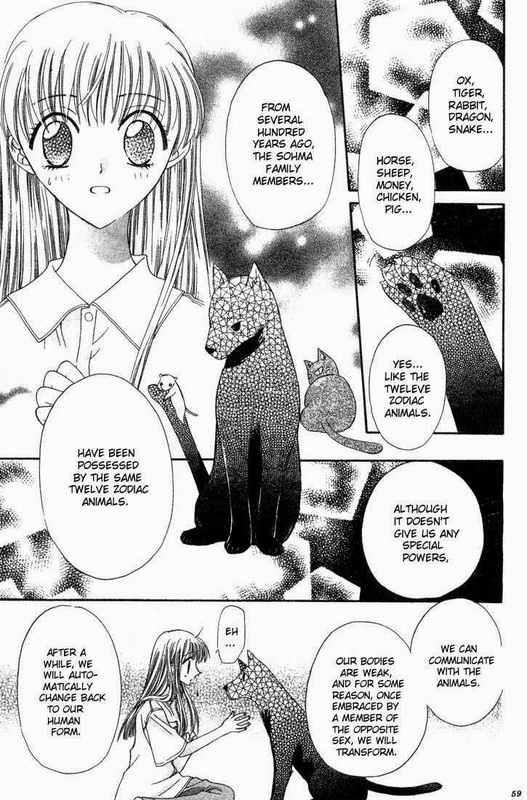 Welcome to this week's Furuba Fridays, my journey through the wonderful Fruits Basket Radio Drama created by JesuOtaku. Having dealt with the 40-minute pilot last week, we're now settling down to episodes of a more manageable length, beginning with Episode 2. This episode as a whole is a very good example of what we mean by adaptive scripting. This is a subject that has cropped up in many of JO's classic reviews, usually when comparing the English dub to the Japanese track (or 'sub', as it's also known - short for subtitles). JO has always been astute in pointing out where translated dubs miss the point of a given scene, either by translating too literally (causing it to sound structurally weird) or by having little or no regard for the original content (for instance, in High School of the Dead). 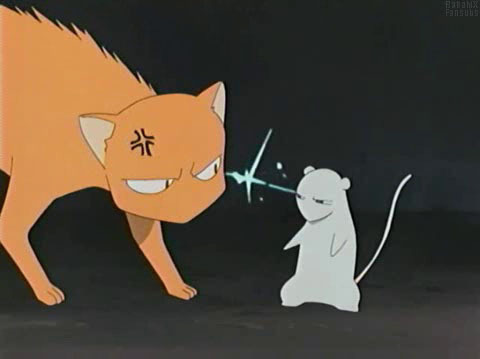 The Fruits Basket anime (which she reviewed here) suffered from the former problem, and here she goes to great pains to do it properly. There are two examples that I'll highlight to show you what I mean. The first is the opening section, in which Tohru first encounters Yuki, Kyo and Shigure in their zodiac form, and Shigure explains the curse. If JO had simply reprinted the manga word-for-word (using either the original print run or the many 'scanlations' available online), the dialogue would sound very stilted because much of the story is designed to be told with pictures. The dialogue in the radio is still faithful - for instance, listing the zodiac animals in the same order that they appear in the manga - but there's effort taken to make the language more amenable and add in new dialogue to plug the gaps. 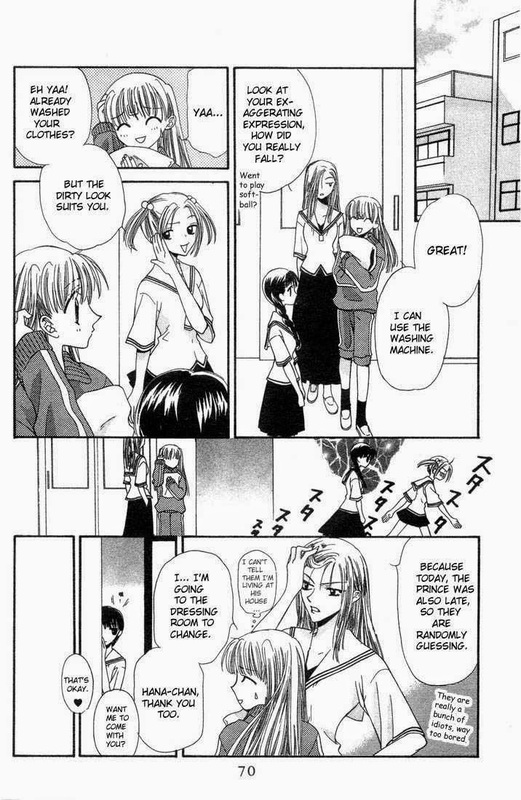 A more humorous example occurs about halfway through, where the Yuki fangirl Minami Kinoshita makes a catty comment before being sent packing by Tohru's friend, Saki Hanajima (Hana for short). In the manga, the entire exchange is covered in a couple of panels, and the latter panel has no dialogue whatsoever. But in the radio drama, Hana is given free rein to creep Minami out, acting in the spirit of the panels but painting a memorable picture with words - the mixing even follows the movement of the characters from left to right. It's a very nice little moment, combining Melle Teich's very fine performance with spooky music and good production. The scripting is just one way in which JO manages to put her own bespoke stamp on the drama while remaining true to the original source. Her use of flashbacks is another, using echoey repetition of dialogue to take us inside the characters' anxiety. We'll talk more about flashbacks and playing around with time when we get to Episodes 10 and 12, but there are a couple of nice little examples dotted throughout this episode which give a good indication of what she's trying to achieve. The other little thing to note about Episode 2 is that it marks the first (unofficial) appearance of Lord Akito, the head of the Sohma family. We won't meet him properly for quite a long time, but he has a tendency to crop up for short, memorable bursts before finally revealing himself. In this episode you'll hear him both as a child and as an adult, with JO herself providing the voice for the young Akito. The older Akito sounds a little different in this episode than he will in, say, Episode 7, but JO was still experimenting with mixing at this point and to be honest it's not that distracting. I think that's enough analysis for one week, so sit back and enjoy Episode 2. See below the Blip video to download a mp3 of Episode 1 from last week, and I'll see you same time next week for another Furuba Friday!